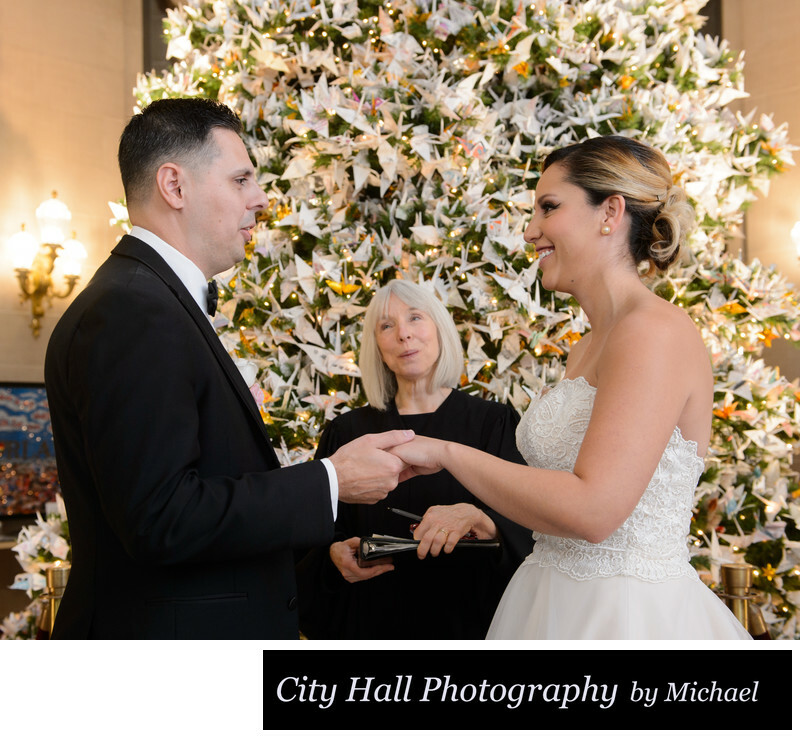 We love photographing weddings in front of the annual City Hall Christmas tree, however it does present some challenges. The main problem is that it is so large that it takes up some of the area where we would normally be standing when photographing the ceremony. The first few times I was the wedding photographer for a Christmas wedding, I didn't realize this. Since that time, I have purchased an ultra wide angle lens which now enables me to be super close and still get a full length image when needed.